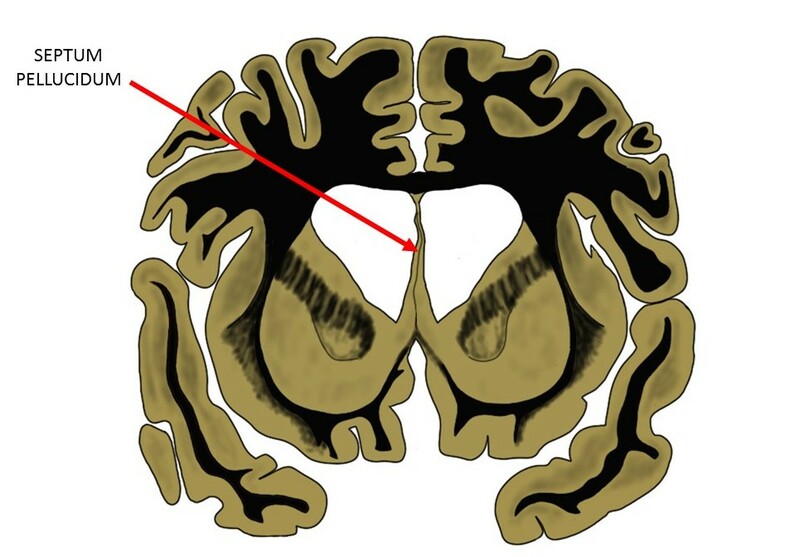 the septum pellucidum as seen in a coronal brain slice. a thin, almost transparent membrane that runs down the middle of the brain from the corpus callosum to the area of a large fiber bundle called the fornix. The functions of the septum pellucidum, other than acting as an anatomical barrier, are unclear.